Bilston Craft Gallery is the biggest dedicated craft venue in the West Midlands. The Gallery hosts a lively programme of contemporary craft exhibitions, with a selection children's and adult workshops, and events. One of their permanent exhibitions is Craftsense which includes both contemporary and historial craft work from the region and a beautiful selection of the world famous Bilston enamels. There are sensory sessions available for pre-school children in Craftplay, our award winning Early Years space. Our Temporary Exhibition programme features craftwork including jewellery, woodwork, contemporary ceramics, glass, and textiles. The retail area showcases the best in quality affordable craft, you can spread the cost of your craft purchase with the interest free Own Art Scheme (Typical 0% interest APR). Hot drinks including tea, coffee and hot chocolate are available for sale and, in partnership with the local Café Metro, you can order a picnic in advance of your visit and collect it when you arrive. Enjoy your picnic in the Gallery garden at the picnic table or borrow a picnic blanket from reception. Advance orders only; for further information call the Gallery on 01902 552507. 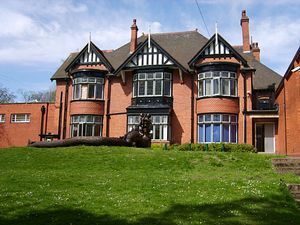 Bilston Craft Gallery is located 3 miles outside of Wolverhampton city centre and 5 minutes walk from Bilston bus station and Bilston Central metro stop. Tram journey from Wolverhampton is approxiamtely 10 minutes and 25 minutes from the Jewellery Quarter.